BH Live, which manages seven venues in Bournemouth, has appointed Jitendra Chauhan as its new director of finance and corporate services. Chauhan will join BH Live this month and be responsible for financial and legal reporting. He will also play a key role in advising the executive team and board of trustees on the organisation’s financial performance, as well as supporting the management team in maximising the performance of the venues operated by BH Live. Chauhan has previously worked at the London Aquarium and County Hall Events, London. BH Live chief executive Peter Gunn said: "Jitendra’s experience in dynamic, challenging environments will complement the skills of the executive management team and he will make a significant contribution to the organisation using his expertise in financial management and leadership. We are looking forward to welcoming him to the team." 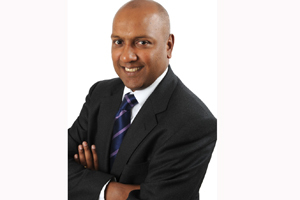 Chauhan added: "These are exciting times for BH Live, and I am thrilled to be joining a great team dedicated to providing a great service to the people of Bournemouth and visitors alike." BH Live last month appointed Steve Piper as its new head of venues following news that Bournemouth International Centre's head of conferences and events Clive Tyers will take early retirement in October after 16 years at the venue.